On Saturday August 9th the hall that hosted the children’s chess festival was taken over by the concentration and calm of chess. 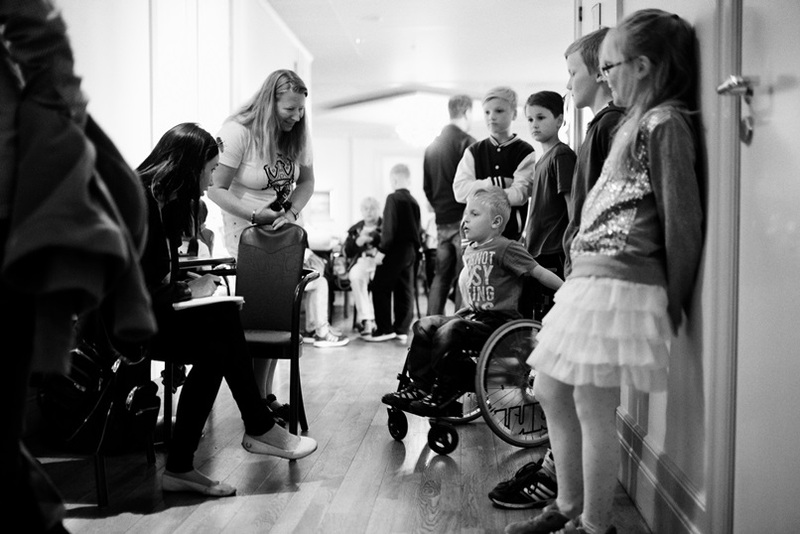 The children sat glued to their chairs with full focus on the chessboards in front of them. The Children’s Chess Olympiad was arranged by the youth division of the Tromsø Chess Club (TSKU), with SpareBank 1 Nord-Norge (SNN) as the main sponsor and organizer. SNN is also one of the main partners of the Chess Olympiad. This was the final round of a major chess tournament that started in Tromsø during last year’s Chess World Cup, before continuing in Alta (Finnmark) and Harstad (South Troms). 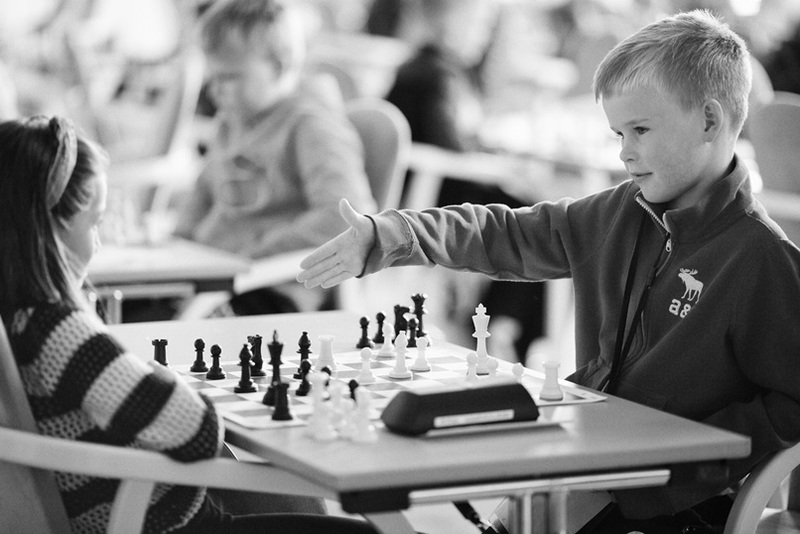 The whole tournament is a partnership between the chess clubs for children and young people in the three North Norwegian towns. 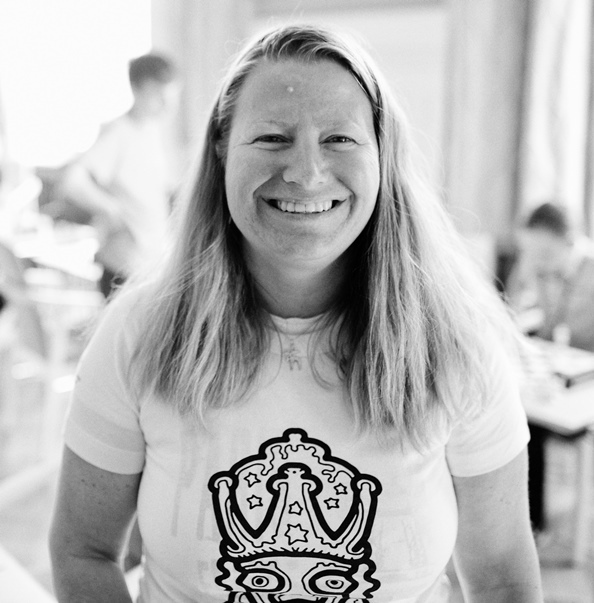 The tournament director and deputy chairperson of TSKU, Anniken Vestby, was delighted with the number of participants: 38 players in rapid chess and 35 in the longer version. The youngest player was a pre-schooler, while the oldest attends lower secondary school. Among those playing were no less than 28 children who had participated in all the tournaments. It’s wonderful to see the hall filled with young chess enthusiasts! They win some and lose some and politely thank their opponents for the games. There are children here from throughout Norway, from Arkhangelsk in Russia and even some from Seattle! The latter have accompanied their parents, who are participating in the official Chess Olympiad. It’s fantastic to see young players from far away – and the Norwegian and international players share the ‘language of chess’. “I won, I won! Three times in a row!” says Torbjørn Valvåg (8) eagerly to Vestby as he leaves the playing hall. Torbjørn has two years’ experience as a chess player – and is delighted with his series of victories, which included wins against older boys. 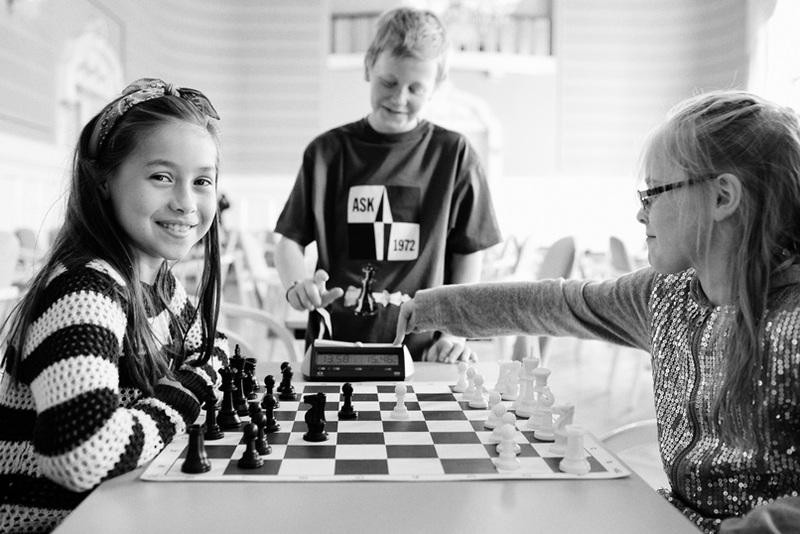 When we asked him, Karoline Olsen (10) and Isaac Ellingsen (11) what it was like to participate in the Children’s Chess Olympiad, there was one adjective we heard over and over again – fun! You make a lot of new friends and meet those who you got to know at the previous tournaments. It’s really fun to play chess and meet other children. I have become friends with one of the Russian boys. The follow-up question about why they like to play chess caused some trouble. Explaining your passion isn’t always easy – and we ended up with that fact that chess, which requires great concentration, fits in well with their other physical activities such as football and athletics. On Sunday afternoon the children who participated in the Olympiad received prizes. The children who finished first, second and third received trophies, while those who participated in all four tournaments received a special prize of a chessboard and a ChessBase DVD. All the participants received a prize in the form of a certificate and additional gifts from sponsors.